Fortress-Secure Mini-Storage is a locally owned business, but is that a good thing? How many times have you heard the statement, “Do business with us because we are a local company”? Then, when you have a problem with the product or service you are told, “Sorry, we only give store credit” or “Sorry, we don’t accept returns”. It’s probably the most infuriating aspect of shopping with local companies, and on some level, is probably one of the major reasons why consumers started shopping at big corporate stores. At Fortress Secure Mini-Storage we’ve made a commitment to treat all our customers with respect, honesty, and integrity. But, we go beyond that. We also strive to treat our customers like Costco treats its customers. Costco! What? Yes, Costco treats its customers really well. If you buy a mattress at Costco and don’t like it, you can return it. Buy a TV and it breaks two weeks later, you can return it. People love shopping at Costco because it’s a no hassle experience. Let’s face it, self storage isn’t an item you return, but sometimes things don’t go as planned. You need a company that understands that and can be flexible. Let us prove to you that Fortress-Secure Mini-Storage is that company, (local or not). Our Santa Maria self storage location and our Arroyo Grande self storage locations have a policy of not charging move-in administrative fees or deposits. All our storage units are drive-up accessible, which make it easy for customers to load and unload their belongings. There is nothing worse than hauling your goods up stairways, elevators, or down long corridors. Once you make the mistake of renting from a storage facility that does, you’ll never want to do it again. 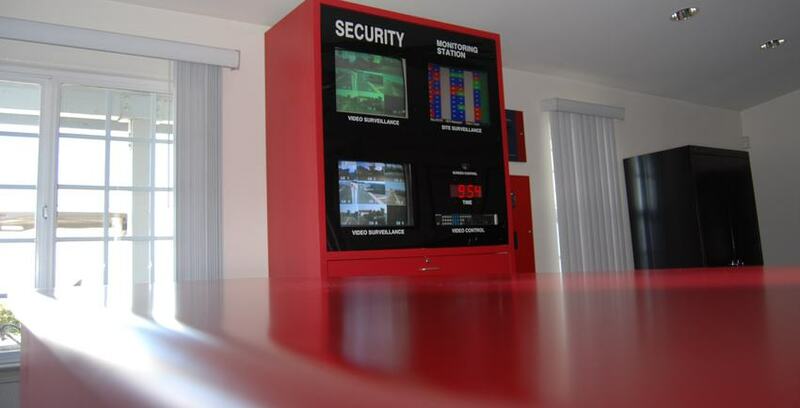 Each self storage unit has an individual burglar alarm, individual fire detector, and our facilities have 24-hour digital video recording that add an extra layer of security. Once you rent, you will have access through our electronic security gate 365 days per year. Our friendly knowledgeable managers are available to assist each customer with their storage needs, and we truly appreciate any chance we get to earn your business. Choose us and experience the difference!